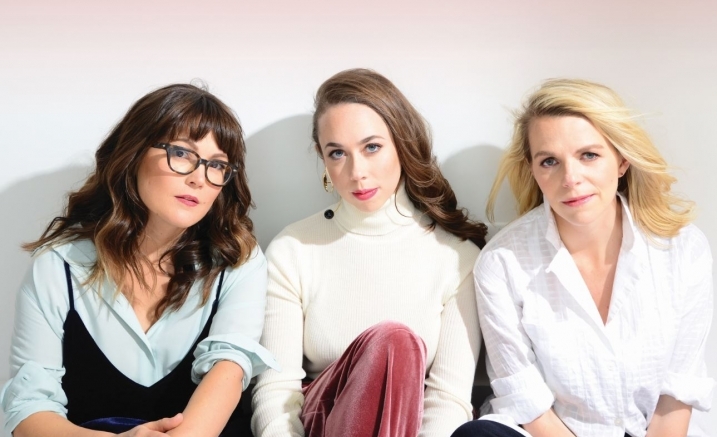 A band of extraordinary chemistry and exquisite musicianship, I’m With Her features Sara Watkins, Sarah Jarosz, and Aoife O’Donovan. Collectively, the multi-Grammy-Award-winners have released several solo efforts, co-founded two seminal bands (Nickel Creek and Crooked Still), and contributed to critically acclaimed albums from a host of esteemed artists. Four years after their formation at an impromptu show at Sheridan Opera House in Colorado, USA the band released their February 2018 debut album See You Around. From it’s very first moment the album reveals the commitment to creating a wholly unified band sound. With each track born from close songwriting collaboration, I’m With Her builds an ineffable magic from their fine-spun narratives and breathtaking harmonies. The result is an album both emotionally raw and intricate, revealing layers of meaning and insight within even the most starkly adorned track. I’m With Her have honed a special, family-like chemistry, garnering acclaim for their unique blend of instrumental interplay combined with their indelible harmonies. 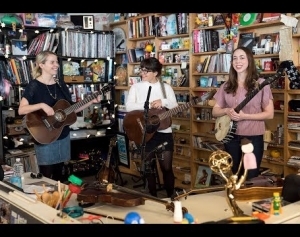 Touring in support of the new album, the band have sold out shows across the US and Europe and have also made appearances on Jimmy Kimmel Live!, CBS Saturday Morning and NPR’s Tiny Desk Concerts. Don’t miss this stunning debut Melbourne performance in Elisabeth Murdoch Hall.